Last year I stumbled across an excellent blog detailing the archaeological excavations being carried out at Rossnaree, Co. Meath. The second season of digging at this site has just commenced and I’d highly recommend anyone interested in archaeology to have a look. The blog has some fantastic geophysical images as well as a daily update of the ongoing excavation work. 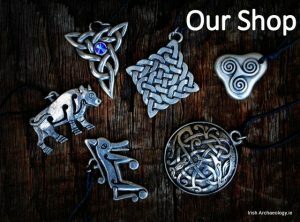 The site itself is located on a bend in the River Boyne just a short distance from the world-famous passage tombs of Newgrange and Knowth. It first came to the attention of archaeologists when field walking revealed a high concentration of worked flint adjacent to the river. 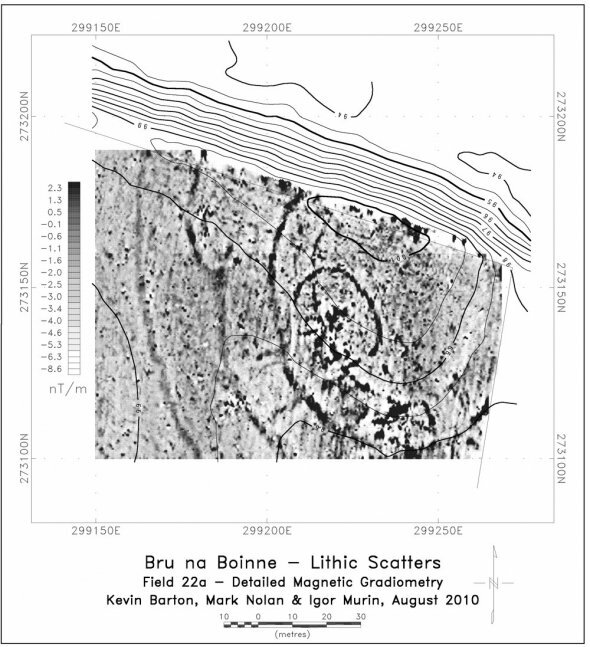 On foot of these findings the site was subjected to an extensive geophysical survey, with stunning results. They revealed the presence of large multi-ditched enclosure measuring c.110m north-south by at least 160m east-west. 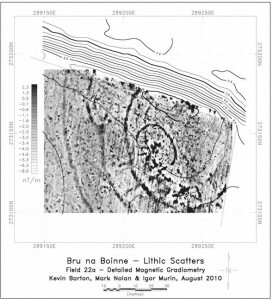 The presence of large quantities of flint and the site’s proximity to the Bru na Boinne passage tombs led archaeologist to initially suspect that the enclosure may represent the remains of large Neolithic settlement or ritual site. This may still be the case, but during last year’s excavation a number of features turned out to be early medieval in date. This brings forward a second tantalising possibility: that, instead, this site represents the remains of a Viking longphort (a defended ship base). 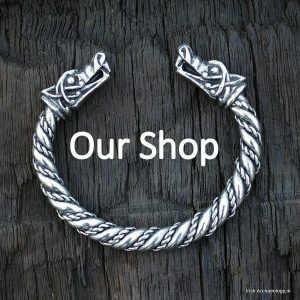 Its location backing onto a river and defended by multiple ditches is reminiscent of the Viking longphorts recently uncovered at Annaggassan Co. Louth and Woodstown, Co. Waterford. What’s more, a Viking base is actually recorded at Rossnaree (Lios Ross) in the Irish annals in AD 842 [Annals of Ulster, Annals of the Four Masters & Annals of Clonmacnoise]. Hopefully this year’s excavation, which is being carried under the direction of Dr Conor Brady of Dundalk Institute of Technology, will throw further light on this intriguing site. Will it turn out to be Neolithic, Viking or maybe both? Find out at The Rossnaree Archaeological Project.